In June of 2007 Jungle Peak chose to cancel all game related development, and I left the company to start working as System Engineer at Wireless Car, a telematics service provider. At Wireless Car I was involved in maintenance of the Java EE based software that supports the services provided by the company. However, due to my passion for games programming and need for creativity I chose to leave the company in January of 2008 to once again try my hand at game development. 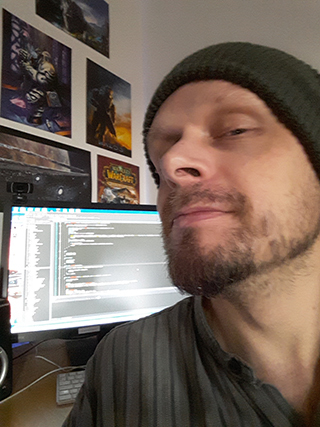 During my time at Wireless Car, I have gained deeper insight into the Java EE platform and web applications in general, and have been able to feed this knowledge back into betterment of both tools and community features used in the continued development of the hUb platform at Spell of Play Studios. I believe diversification of this kind has enabled me to make better choices when it comes to choice of technology for various software tasks (for example, using PHP and IMGUI techniques to implement this website).